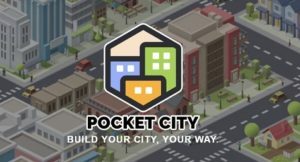 There Are Many Simulation Games/City Building Games Already Available On Google Play Store Like SimCity Buildit By Electronic Arts, Little Big City Game By Gameloft, Township By Playrix Games, And More. This One Looks Amazing, Fantastic, And Better Than Other City Building Games. However, You Need To Wait For Few Months To Play This City Builder Game. You Can Subscribe To Their Website To Get Latest News Including Release Date Or Become The Beta Tester[Not Sure]. Or We Will Also Update You With The Latest News Of This Game. Size – Not Yet Available. Price – Free/Paid[Not Yet Available, But I Think You Need To Pay], Release Date – January/February 2018. Download – Here[Coming Soon].